It seems mainstream medicine won’t accept that high doses of Vitamin C may be an effective anticancer agent – this despite the fact that there have been some incredible success stories of late. We explore this in our book MEDICAL INDUSTRIAL COMPLEX: The $ickness Industry, Big Pharma and Suppressed Cures. On October 12, 2014, Television New Zealand’s ‘Sunday’ current affairs program advised viewers that ground breaking research at Otago University had revealed Vitamin C may be a useful tool in cancer treatment. “Lab tests at Otago showed tumours with higher levels of Vitamin C were less aggressive and slower to grow than ones with lower levels of the vitamin. A number of doctors around the country have been running centres which offer the treatment to patients as an alternative or a complement to chemotherapy and radio therapy. They are using high level doses of Vitamin C by intravenous infusion to attack the tumours”. Vissers also says, “What we want to find out…is if we increase the amount of Vitamin C is that going to slow the tumour growth as well? We suspect it will”. On May 6, 2014, under the heading ‘Taking on Big C with Vitamin C,’ the New Zealand newspaper The Northern Advocate reported on the incredible case of policeman Anton Kuraia, a family man and cancer patient “who was given only weeks to live” after unsuccessful chemotherapy. The article reads, “The medical experts described it as ‘wall to wall’ cancer and after two months of intensive chemotherapy there was little improvement. Anton Kuraia was sent home from hospital with weeks to live and told he would slip into a coma and die. The article continues, “Anton got on the internet and googled vitamin C”. Apparently, Anton’s diet was given a major overhaul, with sugar being a definite no-go food. “Fresh vegetable and fruit smoothies became the order of the day as he followed a blood type diet. The high dose liquid form of vitamin C is 90g of clear liquid taken intravenously to bypass the gut…The sessions cost $200 each. “After 10 weeks of healthy eating and infusions – two weeks longer than experts had predicted he would live – Anton was feeling better and agreed to have a bone marrow biopsy. The results revealed the cancer had dwindled to less than one per cent. The cancer was in complete remission”. It’s abundantly clear not everyone agrees that Vitamin C may be an effective anticancer agent. On its website, the American Cancer Society states, “Clinical trials of high doses vitamin C as a treatment for cancer have not shown any benefit.” And it warns, “High doses of vitamin C can cause side effects in some people”. To be fair, high doses of anything can cause side effects – even death – if consumers overdo it. (Try eating a truckload of apples and see how you feel). However, the American Cancer Society’s point is taken: high doses of Vitamin C can cause side effects and, it seems, the jury’s still out on the effectiveness, or otherwise, of this vitamin as an anticancer agent. The society does acknowledge that “Some claim that the vitamin can prevent a variety of cancers from developing, including lung, prostate, bladder, breast, cervical, intestinal, esophageal, stomach, pancreatic, and salivary gland cancers, as well as leukemia and non-Hodgkin’s lymphoma. Vitamin C is also said to prevent tumors from spreading, help the body heal after cancer surgery, enhance the effects of certain anti-cancer drugs, and reduce the toxic effects of other drugs used in chemotherapy”. And while the society acknowledges that “people with higher blood levels of vitamin C tend to have a lesser risk of developing cancer than do people with lower levels,” it categorically states, “Studies that observed large groups or people and clinical trials of vitamin C supplements have not shown the same strong protective effects against cancer”. The American Cancer Society also quotes a 2000 National Academy of Sciences report as saying, “There is not enough evidence to support claims that taking high doses of antioxidants (such as vitamins C and E, selenium, and beta carotene) can prevent chronic diseases”. Certainly, some doctors recommend high doses of vitamin C supplements to protect patients against, and to treat, the common cold. However, it does seem that few doctors are prepared to accept that high doses of Vitamin C may be an effective anticancer agent. 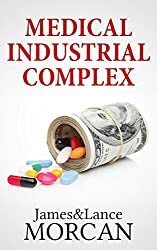 “If the Medical Industrial Complex is the Devil in healthcare, then natural or alternative medicine would probably be God.” Thus begins a chapter we devote to alternative medicines in our book MEDICAL INDUSTRIAL COMPLEX: The $ickness Industry, Big Pharma and Supressed Cures. Many in the medical fraternity instantly label treatments in the traditional, natural or holistic health fields as quackery. This word is even used to describe Traditional Chinese Medicine (TCM) and the Indian Ayurveda – two medical systems which are far older than Western medicine and globally just as popular. One sign that the Medical Industrial Complex may view natural or alternative medicine as a financial threat is the sweeping law changes it has forced upon the alternative health market in recent years. Today, most nations now have laws requiring any health substance with medicinal claims to be legally defined as “drugs.” This includes herbal remedies and various other non-drug medicines of natural origins. Critics say such laws prevent wider distribution of natural health products and give Big Pharma ever more control. In the US, these laws are monitored by the FDA (the Food and Drug Administration), an organization which critics argue is at the very top of the Medical Industrial Complex. That’s right folks, the same FDA that allows genetically-modified Monsanto organisms in your food supply and the same FDA that allows your kids to consume Aspartame in soft drinks is the organization responsible for telling Americans how they can and cannot treat their illnesses. It has been repeatedly argued by natural health proponents that major pharmaceutical companies, along with their supportive cronies in government, conspired to pass these laws to force the public to only use modern medicines that are pharmacological, patented or patentable, and profitable. Call us crazy, but we think any product with 100% natural and non-synthetic ingredients such as those derived from the likes of herbs, flowers, fruits and roots should be in a totally separate category to synthetic, laboratory-made pharmaceutical drugs. Many alternative health researchers also claim that little funding is granted for research into natural or traditional cures because Big Pharma cannot patent plants or anything else that occurs organically in nature. One such example is the work of high-profile American chemist and Nobel Prize recipient Linus Pauling (1901-1994). He received no support from the medical establishment for radical health discoveries (he claimed) he discovered when experimenting with mega-doses of Vitamin C. Despite his illustrious credentials, Pauling was also labeled a quack for his claims that the natural, unpatentable Vitamin C could cure a whole host of diseases, including cancer. However, it appears Pauling may have the last laugh, albeit posthumously. Several high profile studies in the last few years suggest his theories on high dose Vitamin C being an effective anticancer agent may indeed be correct. America’s National Cancer Institute (NCI) provides a brief history of the use of high-dose Vitamin C as a complementary and alternative treatment for cancer on its website, pointing out that “High-dose vitamin C has been studied as a treatment for patients with cancer since the 1970s”. NCI states, “A Scottish surgeon named Ewan Cameron worked with…Linus Pauling to study the possible benefits of vitamin C therapy in clinical trials of cancer patients in the late 1970s and early 1980’s” and “In the 1970’s, it was proposed that high-dose ascorbic acid could help build resistance to disease or infection and possibly treat cancer”. Interestingly, the institute concedes, “Laboratory studies have shown…treatment with high-dose vitamin C slowed the growth and spread of prostate, pancreatic, liver, colon, malignant mesothelioma, neuroblastoma, and other types of cancer cells,” and “combining high-dose vitamin C with certain types of chemotherapy may be more effective than chemotherapy alone”. NCI refers to another laboratory study that “suggested that combining high-dose vitamin C with radiation therapy killed more glioblastoma multiforme cells than radiation therapy alone”. The institute advises that “The FDA has not approved the use of high-dose vitamin C as a treatment for cancer or any other medical condition” and “Because dietary supplements are regulated as foods, not as drugs, FDA approval is not required unless specific claims about disease prevention or treatment are made”. However, it seems the door remains open at least. As NCI concedes, “More studies of combining high-dose IV vitamin C with other drugs are in progress”. Why are our children being exposed to potentially harmful drugs? 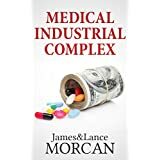 In our book MEDICAL INDUSTRIAL COMPLEX: The $ickness Industry, Big Pharma and Suppressed Cures, we focus on the alarming overmedication of children diagnosed, or misdiagnosed, as having ADHD, depression and other such ailments. Overmedication of children diagnosed – and often misdiagnosed or even not diagnosed – with ADHD (Attention Deficit Hyperactivity Disorder) has, it seems, reached alarming levels, and the public debate has been as vocal as that surrounding the issue of overprescribing antidepressants. By some estimates, around four million children in the US have been diagnosed with ADHD and more than half of them have been prescribed drugs. 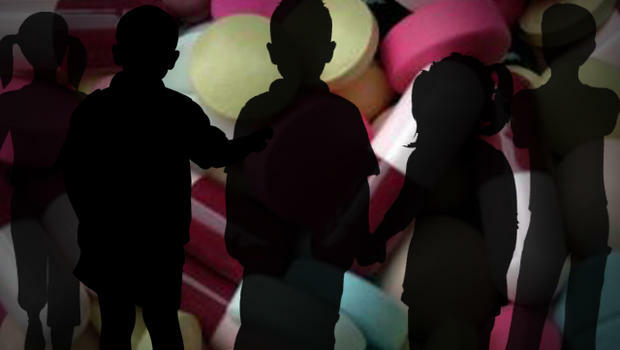 This despite the fact there are very real concerns about the impact the drugs have on growth and brain development – especially in preschoolers. One who has had something to say on this matter of late is Dr. Nancy Rappaport, a certified child and adolescent psychiatrist at Cambridge Health Alliance and an associate professor of psychiatry at Harvard Medical School. In a Washington Post article dated June 4, 2014, and headed ‘We are overmedicating America’s poorest kids,’ she claims that thousands of children between the ages of two and three are being prescribed stimulants like Ritalin or Adderall for ADHD even though the medicine’s safety and effectiveness has barely been explored in that age group. Dr. Rappaport says she finds it even more troubling that a disproportionate number of those children were on Medicaid, which to her is an indicator of poverty. “That,” she says, “is the huge red flag”. Referring to her experience as a child psychiatrist, working with at-risk children for more than 20 years, she points out the simple fact is that underprivileged children often grow up in home environments that lead to troubling behavior. “To the untrained observer, it looks as if these children suffer from ADHD. But they don’t need medicine. They need stability and support”. This raises the obvious question: Why are physicians prescribing potentially harmful drugs instead of recommending family-based support services for toddlers who display ADHD symptoms and disruptive behavior? Dr. Rappaport asks this very question. She says, “Medication may be judiciously used to help ADHD when a biological illness is truly present, but true ADHD cannot be differentiated from other problems at such young ages. We owe it to our children to give the consistent message that we will do whatever it takes to foster their development. 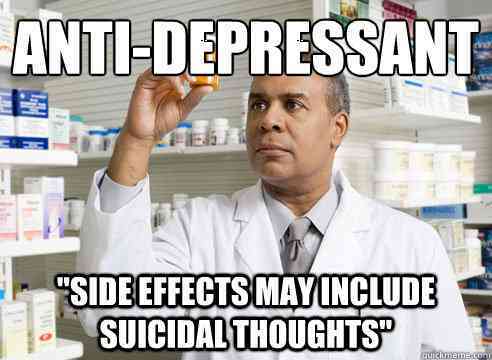 And that doesn’t always mean prescribing a pill”. It’s a fact that in this modern era most of us look for a quick fix for whatever ails us or for whatever ails our children. Our willingness to pop a pill in order to get a good night’s sleep or to ease a queasy tummy or to clear a foggy head or to…(the list goes on) is frightening. Even more so when we pass such quick fix ideas onto our children. We seem very willing to overlook the fact that all drugs – prescribed or otherwise – have side-effects. 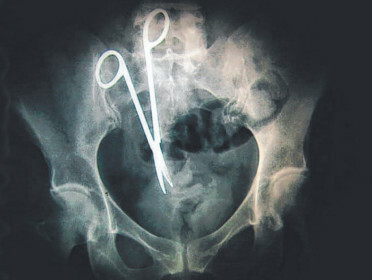 Sometimes deadly side-effects, often unhealthy or otherwise undesirable side-effects. We also overlook the fact that oftentimes there’s a simple, readily available, natural remedy available for those day-to-day ailments we encounter. For example, physical exercise has long been recognized as an effective way to combat depression. Not for all, granted, but, we suspect, for many. The Atlantic article referred to earlier reports that a growing body of research suggests that exercise is one of its best cures for depression. It claims a randomized controlled trial showed that depressed adults who took part in aerobic exercise improved as much as those treated with Zoloft, and a recommendation was made that physicians counsel their depressed patients to try it. A later study looked at 127 depressed people who hadn’t experienced relief from a commonly used antidepressant and found that exercise led 30% of them into remission – a result described “as good as, or better than” drugs alone. The article continues, “Though we don’t know exactly how any antidepressant works, we think exercise combats depression by enhancing endorphins: natural chemicals that act like morphine and other painkillers. There’s also a theory that aerobic activity boosts norepinephrine, a neurotransmitter that plays a role in mood. And like antidepressants, exercise helps the brain grow new neurons”. The article concludes that “this powerful, non-drug treatment” hasn’t yet become a mainstream remedy. Why not? And why are so many people still popping pills? We suspect the conclusion speaks volumes about the state of our mental health services and infrastructure, the physician reimbursement system (more about doctors’ kickbacks coming up) and the alacrity with which doctors dispense prescription drugs ahead of advising on diet, exercise and other lifestyle changes. Regrettably, it also speaks volumes about our unwillingness to take responsibility for, and control of, our own health, preferring, instead, to entrust that to our family doctor. Vaccinating children – Is it the smart thing for parents to do? Can society trust the big pharmaceutical companies enough to be sure child immunizations are not dangerous – especially in the light of the alarmingly long list of proven fraudulent activities of many of those same companies? We attempt to answer that question in our book MEDICAL INDUSTRIAL COMPLEX: The $ickness Industry, Big Pharma and Suppressed Cures. We also ask is there any limit to the lengths drug companies will go to in order to maximize revenue? And if adult lives aren’t safe in this mad pursuit of profits, can we be certain children’s lives won’t be viewed as expendable as well? But surely they wouldn’t suppress scientific evidence of vaccine dangers when it comes to children? you may ask. Surely they wouldn’t go that far? Right? Well, you may be right, but let’s break things down a little before reaching any conclusions. Firstly, it’s an indisputable fact that immunizations protect many millions of children every year from potentially deadly diseases, and they save countless lives. It is undeniable that vaccines have all but eradicated a whole host of serious diseases including diphtheria, rubella and smallpox. Polio was also on that list although, alarmingly, it has reportedly been making a comeback in recent years. Given the apparent overwhelming scientific evidence proving the effectiveness of child immunizations, in legal parlance this seems like it should be case closed. However, not all parents, and more significantly not all health industry professionals, agree it’s as simple an issue as that. Indeed, some doctors, nurses and other health professionals argue the underreported risks of vaccinating infants far outweigh the protection they provide against certain diseases. At the time of writing, Californian politicians were considering passing a new law – Senate Bill 277 (SB 277) – making it mandatory for Californian residents to vaccinate their children. As you can imagine, this hasn’t gone down well with everyone. Taking away parents’ ability to choose has stirred up the vaccine debate once more – especially in alternative media. On April 23, 2015, the healthy living website Elephant ran an article by health campaigner Elliot Freed, commenting on the issues at stake. In it, Freed hints at complexities that go beyond whether vaccines are safe and effective, stating, “In 1986 vaccine manufacturers were given financial immunity from the damages of their products by congress”. It turns out that law change led to a program that’s funded by a 75 cent levy on every vaccine sold. The article heavily implies that through this legal and/or political loophole, drug companies can repeatedly dodge most claims which attempt to establish a link between vaccines and injury to children. The Elephant article also mentions how more child vaccines than ever contain disease-producing pathogens – more so since liability was eliminated for drug companies producing vaccines. The list of vaccines containing pathogens, according to the article, includes “the MMR, the dTap and the oral polio vaccine”. Because of the financial immunity in the production of vaccines, pharmaceutical manufacturers are now much more focused on developing vaccines than drugs. Easy to understand why: it’s a lower risk activity. And of course, vaccines need far less advertising costs – especially when governments make their usage mandatory. “This is not about vaccines for diseases like polio or measles,” Freed says. He goes on to predict that many other future vaccines will become mandatory as well. “Where are the infectious epidemics that are killing our children? I don’t see them”. If the bill (SB 277) passes, according to Freed, “No state legislator, no school administrator, no doctor and no parent will be able to say no to any chemical mandated by the federal government to be injected into children, so long as it is packaged as a ‘vaccine’”. Is this paranoia? Unfounded speculation? A theory only tinfoil hat-wearing conspiracy theorists would believe?